The latest changes to CIPC product labels, introducing new requirements for lower application rates and the need for active recirculation have been confirmed by the CRD (Chemicals Regulation Division). CIPC users are now legally required to ensure applications are made with fans to ensure fog is actively recirculated until the fog has cleared. This is to achieve uniform distribution and residue control as well as efficacy at the lower dose rates. The Potato Industry CIPC Stewardship Group (PICSG) has been running the ‘No Fan, No Fog’ campaign for over three years in preparation for this decision. Mike Storey, AHDB’s head of resource management and chair of PICSG, says: “As the 2017 store loading season builds, many store managers will be considering their first CIPC application. In stores with positive ventilation, active recirculation is most easily achieved by fitting a Variable Frequency Drive (VFD) and using the store’s ventilation system. In overhead throw box stores, active recirculation can be brought about using an air separator or duct at the end of the store to create an ‘open suction’ system. Alternatively, fan-assisted plenums placed within box stacks will ensure active recirculation can be achieved. It is recommended that users consult their NAAC CIPC Applicator to discuss this requirement now to ensure that, if steps have not yet been taken to modify stores, applications can still be made this season. 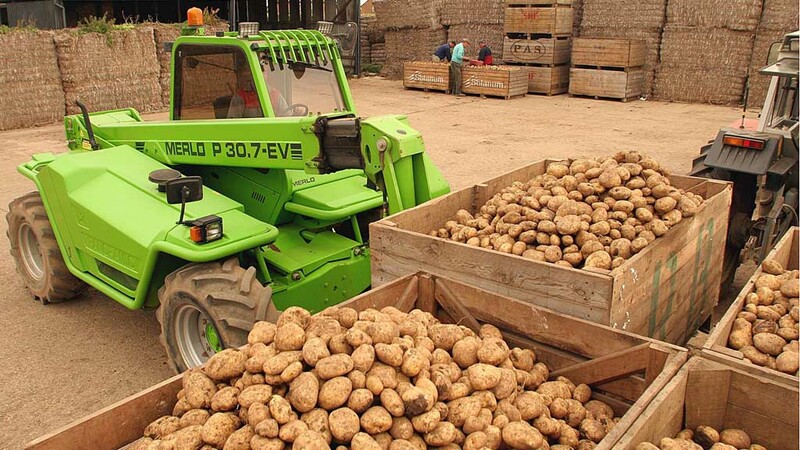 Finally, it is important to note any food, feed or seed, other than ware potatoes, should not be held in stores, which have been treated with CIPC. For this season, the new statutory limits for total dose, approved by the Chemicals Regulation Division of HSE are 36 grams/t for processing and 24g/t for the fresh market. The maximum individual dose is reduced to 12g/t. The latest time of application is 14 days before removal from store for sale or processing and is another statutory requirement. Additionally, Stewardship best practice, endorsed by the NAAC’s CIPC Applicator Group and Red Tractor Farm Assurance, continues to allow just one application (now up to 12 g/t) in cold stores as CIPC residue declines more slowly at low temperature. This applies to all stores that will be held below 5 deg C. This application should be made early in storage during pull-down, before the temperature is decreased below 7 deg C, for maximum efficacy.